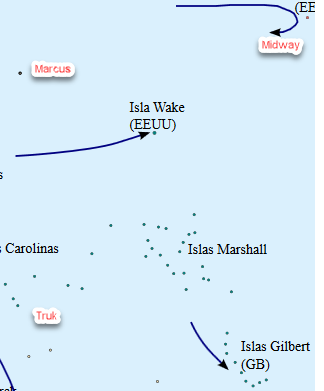 Carrier Battles for Guadalcanal :: Wake Island Scenario? Do you think a Wake Island scenario would be worth adding? Absolutely! It would be worth a fee to get it! Meh. I’d only play it if it were free. I’d be primarily interested in single player. I’d be primarily interested in multi-player. Posted: Thu 4 Jan - 23:45 (2018) Post subject: Wake Island Scenario? Thanks, great info and tremendous research! Sounds like the Marshall Raid, which you have down as Feb 1st, would be a month or so after Wake, which is more like Dec 23; I’m guessing the forces would be a bit different. Posted: Thu 4 Jan - 23:53 (2018) Post subject: Wake Island Scenario? Posted: Fri 5 Jan - 00:58 (2018) Post subject: Wake Island Scenario? Well bang, that’s probably a lot more about the Wake operation than I’ll ever know. I dunno how anyone would get info on the (remaining) air complement of the Hiryu, Soryu, and Kwaj. I’m guessing it would be easier to deduce the historical US forces, although the hypothetical re-armament of Lex, Sara, and Ent for an intercept and destroy of the Japanese flattops would probably be much more difficult. Posted: Fri 5 Jan - 08:34 (2018) Post subject: Wake Island Scenario? By the way, do you guys want me to see if I can find map of the Wake-Marshalls area on the internet, or is that a relatively trivial part of scenario building? Posted: Fri 5 Jan - 08:38 (2018) Post subject: Wake Island Scenario? Posted: Fri 5 Jan - 19:02 (2018) Post subject: Wake Island Scenario? Again, that question is beyond my expertise, as it really depends on how many different campaigns might try to use the same map. Is it important to have everything played on one map, or can there be several, perhaps even overlapping, maps for scenarios? I would think that’s a question that depends on the value and manageability of centralization in the software architecture. Posted: Mon 8 Jan - 21:19 (2018) Post subject: Wake Island Scenario? Posted: Mon 8 Jan - 22:58 (2018) Post subject: Wake Island Scenario? I would guess that you wouldn’t want any major operations near the edge of maps so it doesn’t become artificially easy to locate players trying to get to a corner objective. Posted: Mon 8 Jan - 23:59 (2018) Post subject: Wake Island Scenario? Posted: Tue 9 Jan - 01:16 (2018) Post subject: Wake Island Scenario? Posted: Tue 9 Jan - 02:19 (2018) Post subject: Wake Island Scenario? This would create a whole different game. I prefer to keep it the way it is for the time being. Posted: Today at 22:20 (2019) Post subject: Wake Island Scenario?